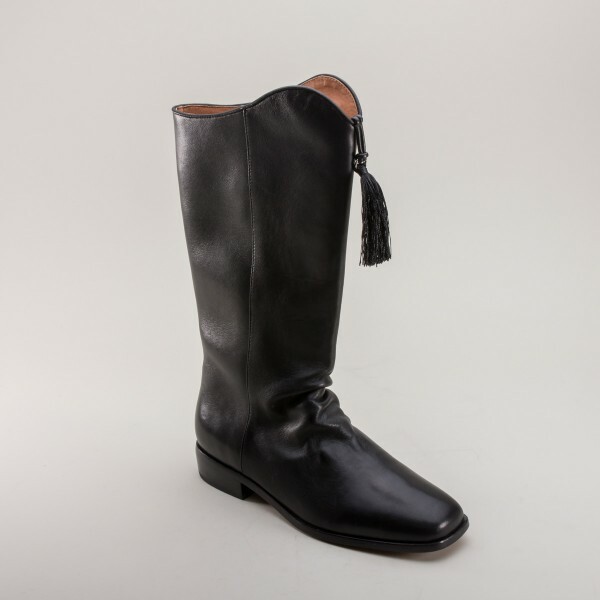 Hessian Men's Georgian Boots offer all the style and glory of fashionable tall men's footwear of the late 18th and early 19th centuries. 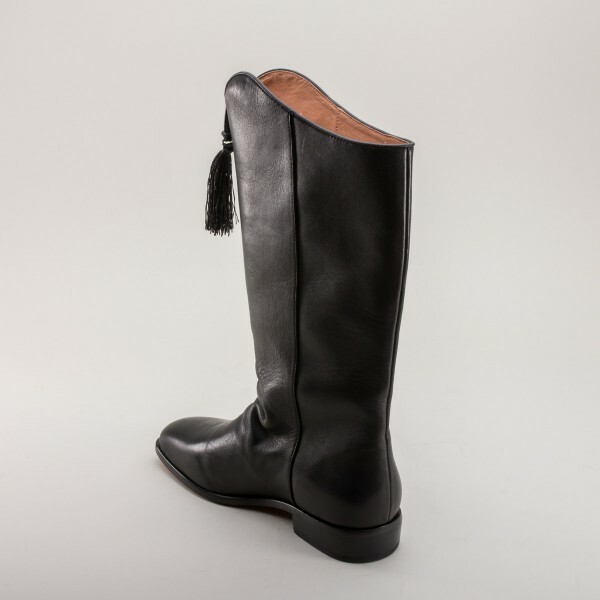 These boots are perfect for French Revolution and Directoire, American Federalist period, the Regency period, and early Romantic periods. Mr. Darcy approves! 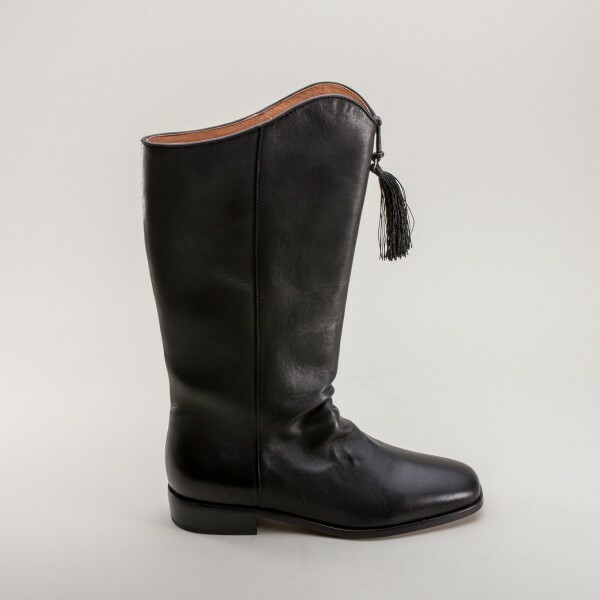 The Hessians are the quintessential men's boot style c. 1790 - 1820s, worn by both soldiers and civilians. 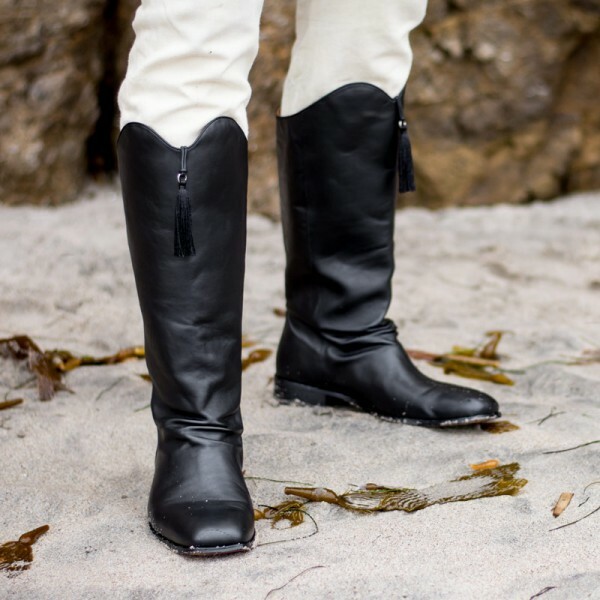 Our Hessian boots are made as closely to the originals as practical manufacturing allows today, with only three leg seams and the leather wrinkling in the fasionable way over the vamp. 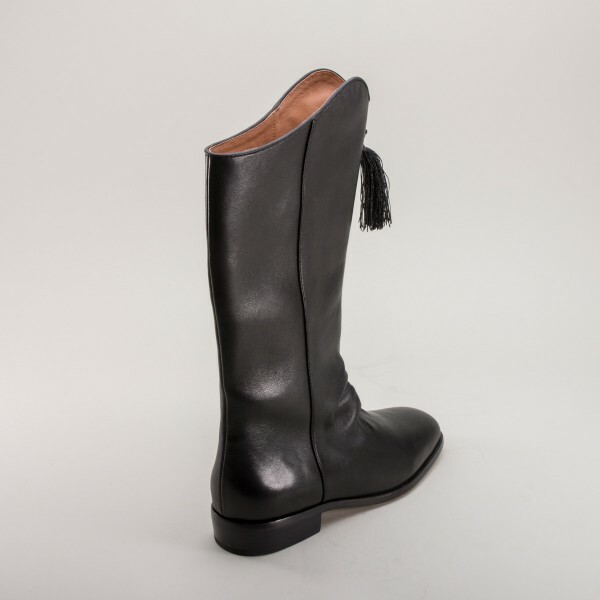 The Hessian boots sport the correct tapered square toe and top tassel of this period and come with a durable 6 mm sealed leather sole and 1 in / 2.5 cm common sense heel. 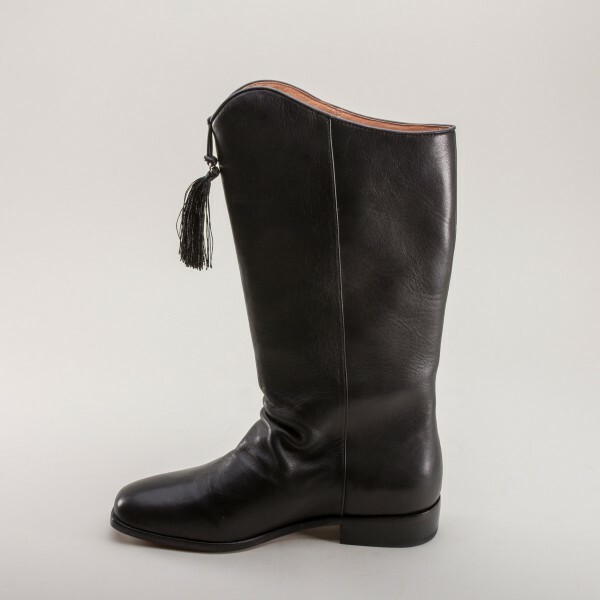 You will love these delicious Hessian boots. 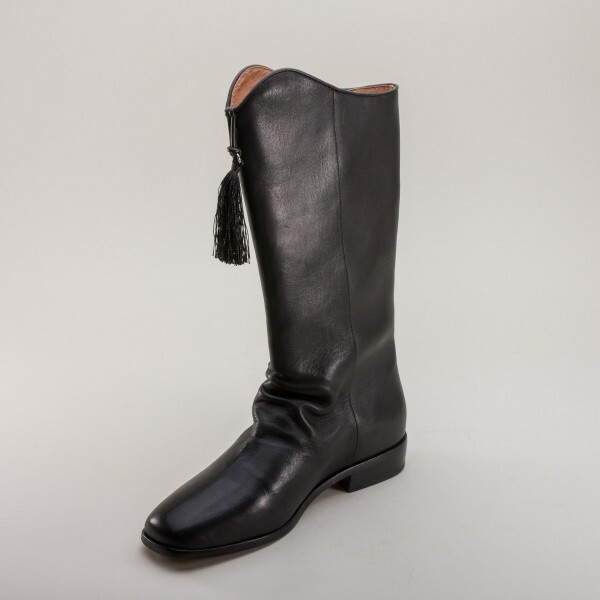 They are half-lined in pigskin leather with a textile foreleg and foot, making these boots lightweight. You'll also find boot pulls inside. 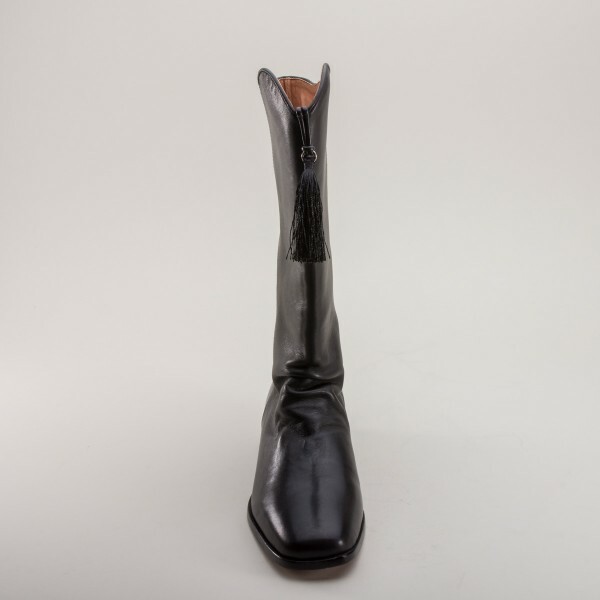 Hessian Men's Georgian Boots are available in men's standard D width sizing. 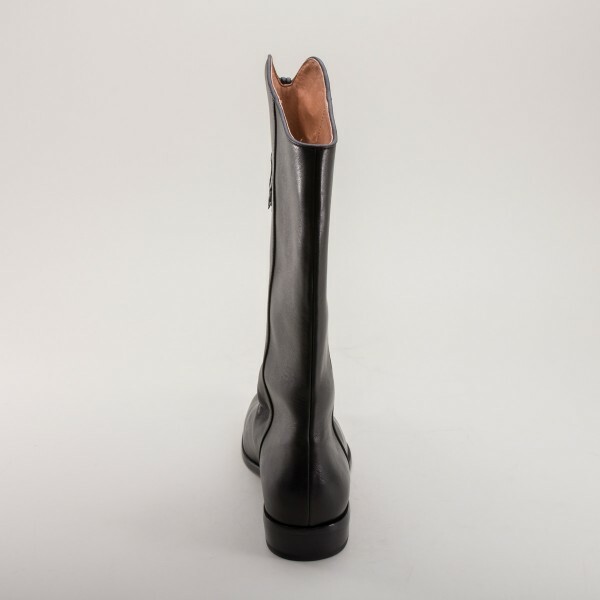 We also offer a women's version of this boot called "Linden" here.